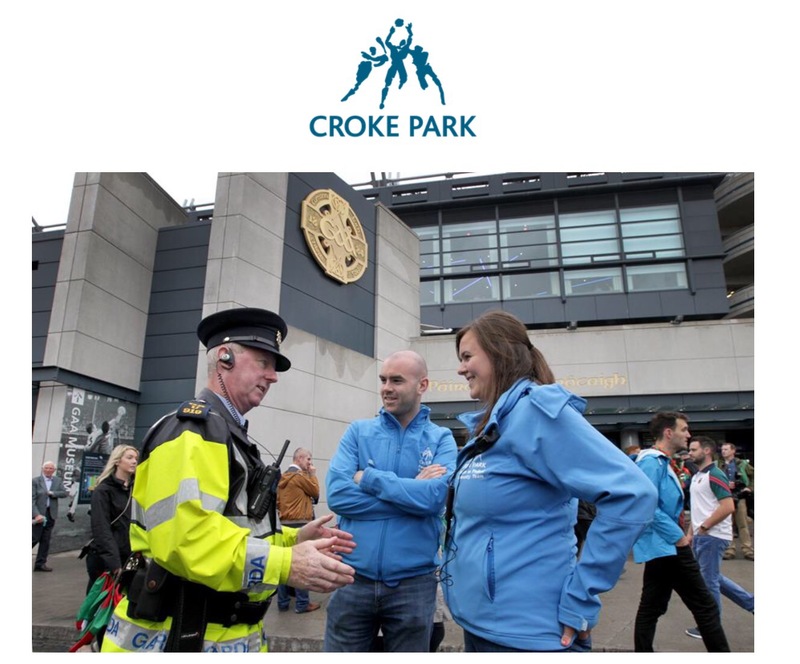 Since February 2014, the Croke Park Community Team work on stadium event days to assist their neighbours and monitor activity in the local community area. The team consists entirely of local residents. Officials from the stadium notified today that they are recruiting further members from the local community for the 2017 League & Chmapionship season. Monitoring and reporting littering, anti-social behaviour and illegal parking in the stadium’s community area. I understand that while previous customer service work experience is desirable, it is not a must. Croke Park will provide full training to successful candidates. You can contact me for an application form. Alternatively, you can ring Croke Park on 01 865 8607. Your completed application form should be submitted before 5pm on Friday, 2nd December 2016. This entry was posted in Ballybough. Bookmark the permalink.